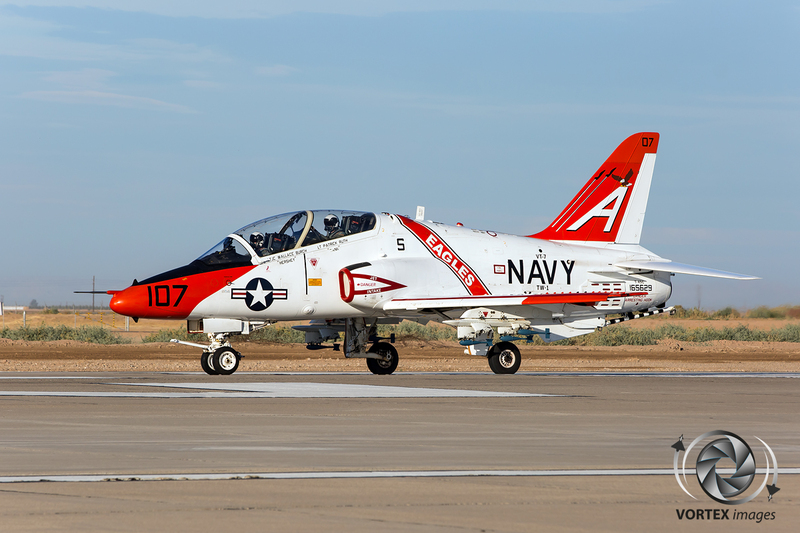 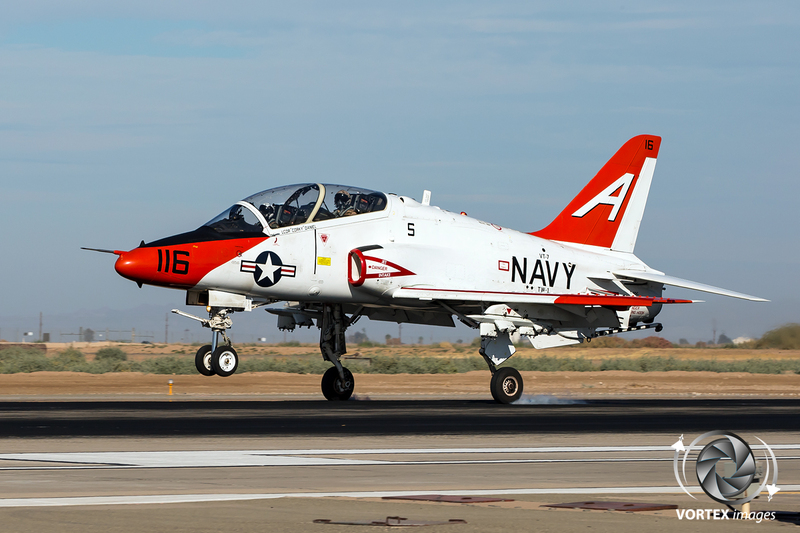 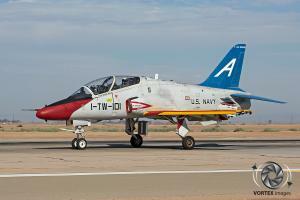 Twice per year, the Public Affairs department of Naval Air Facility (NAF) El Centro hosts photocalls to spread the word about NAF El Centro and the mission of Naval Aviation. 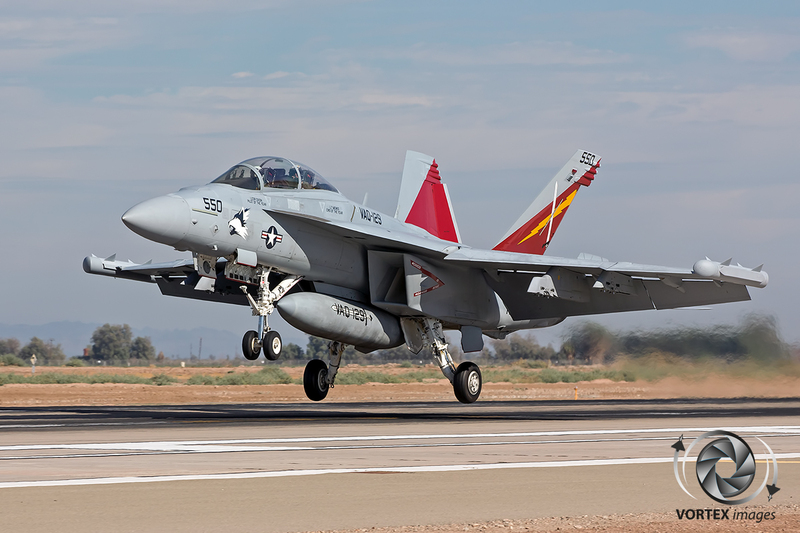 These photocalls allow photographers to get up close to aircraft operations and see exactly what goes on at NAF El Centro. 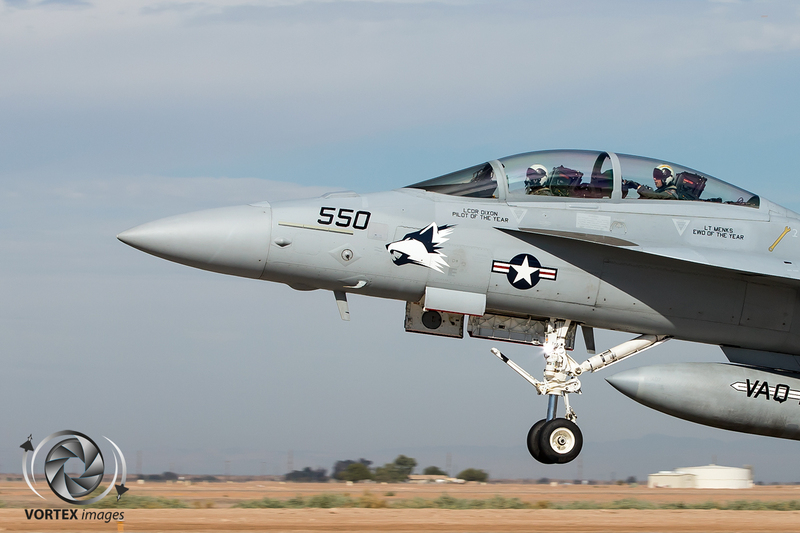 Each year a spring edition and a fall edition are organized which normally ensures in fantastic photo opportunities due to stunning light conditions. 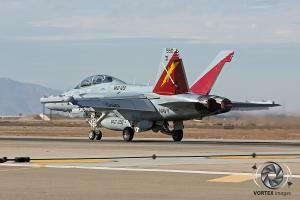 VORTEX images was fortunate enough to participate in this year’s fall edition. 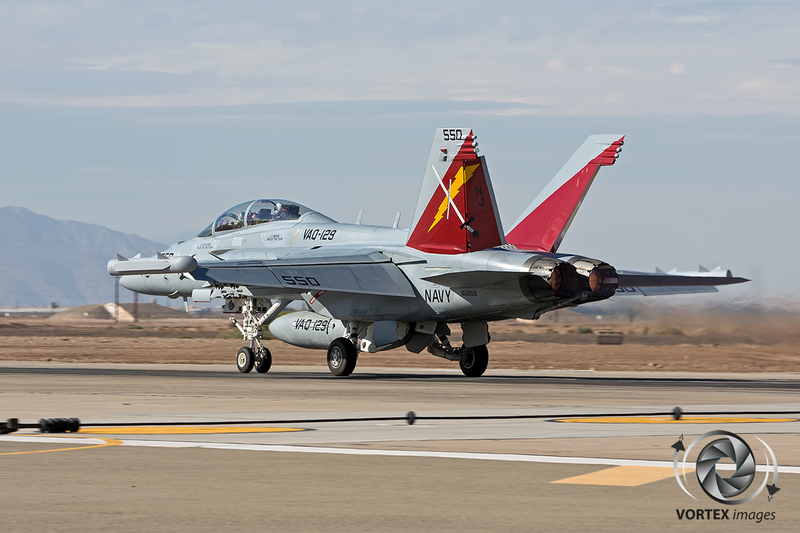 Originally planned as a part of the Imperial County Airport, the United States Marine Corps operated the airfield from 1943 until 1946 after which is was re-established as a United Navy airfield. 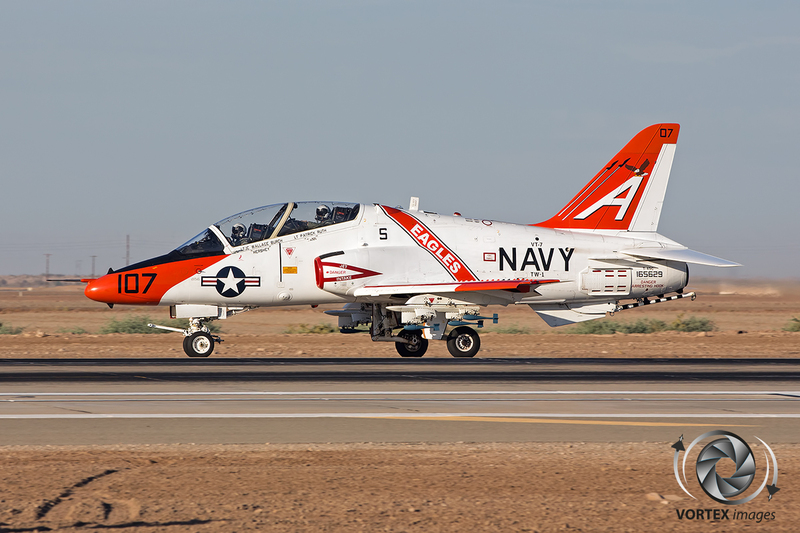 Throughout the years NAF El Centro bared several names such as Naval Auxiliary Landing Field El Centro, Naval Air Station El Centro and National Parachute Test Range El Centro. 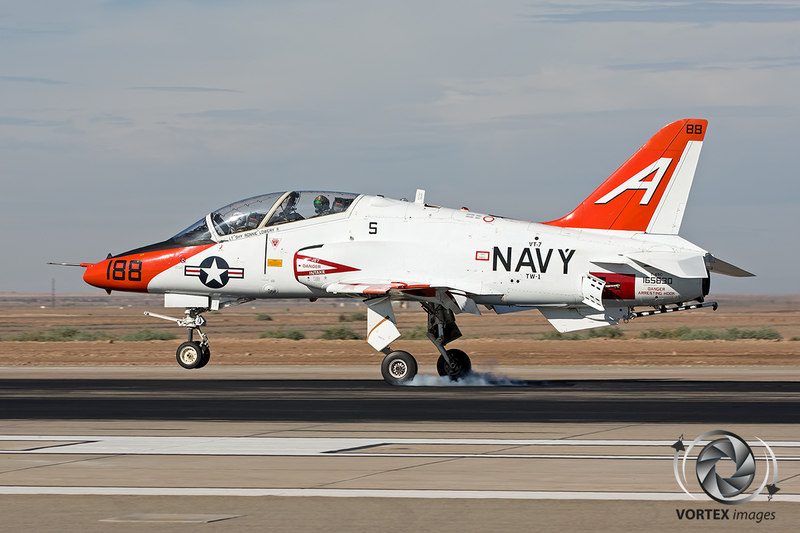 In 1979 the airfield got its current designation Naval Air Facility El Centro. 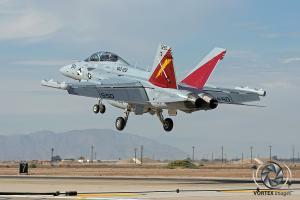 NAF El Centro is situated in the Imperial Valley located in Southern California. 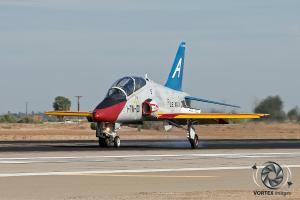 As this location has year-round good flying weather it is home to the Blue Angels during their winter training. 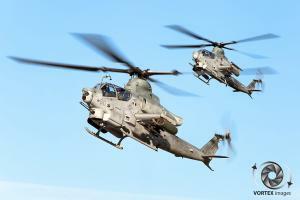 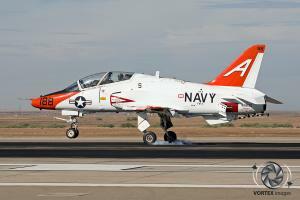 Traditionally their first display each year is being performed at the El Centro Airshow. 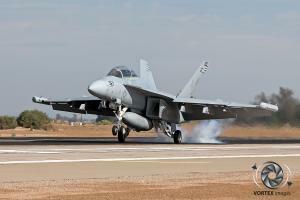 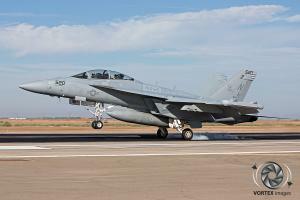 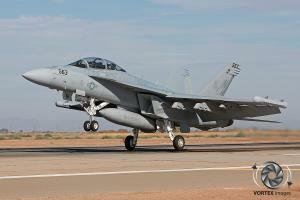 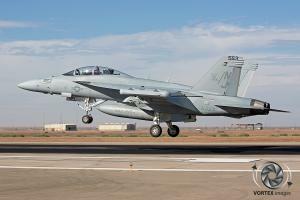 The main mission for NAF El Centro is to support the Combat Training and readiness of the US Navy and USMC aviators. As NAF El Centro is blessed with such good weather various units from both the US Navy and USMC regularly deploy to NAF El Centro to make use of the various ranges nearby. 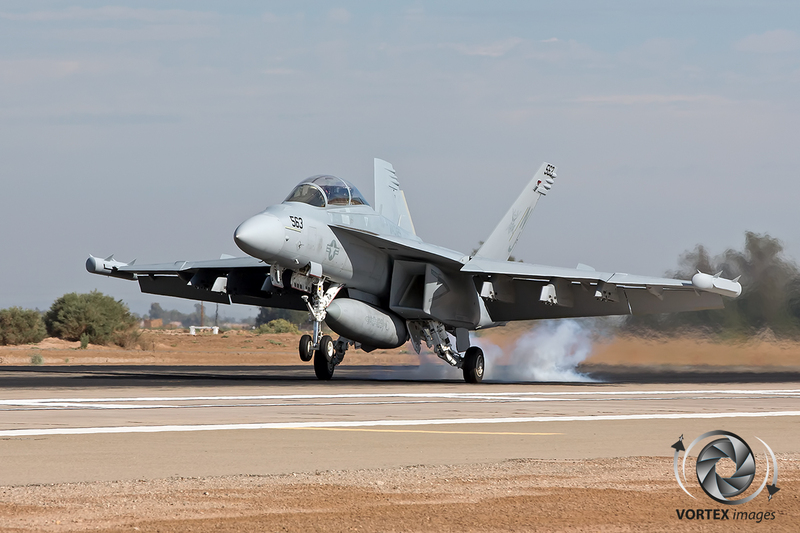 Besides the US Navy and USMC, NAF El Centro also regularly houses foreign deployments from countries such as Canada, Denmark and the United Kingdom. 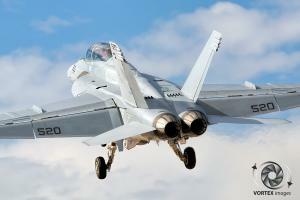 As the facility has a mock up carrier deck including the Fresnel Lens Optical Landing System (FLOLS). 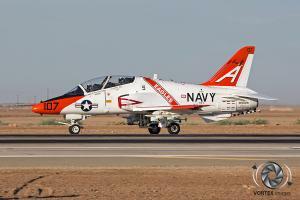 NAF El Centro is regularly used to refresh and practice the carrier deck landing qualification of the pilots. 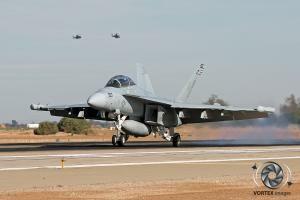 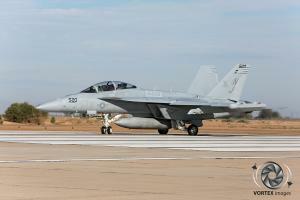 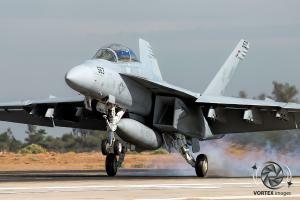 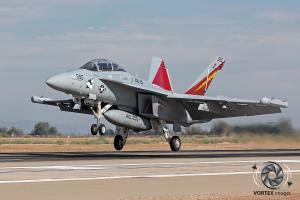 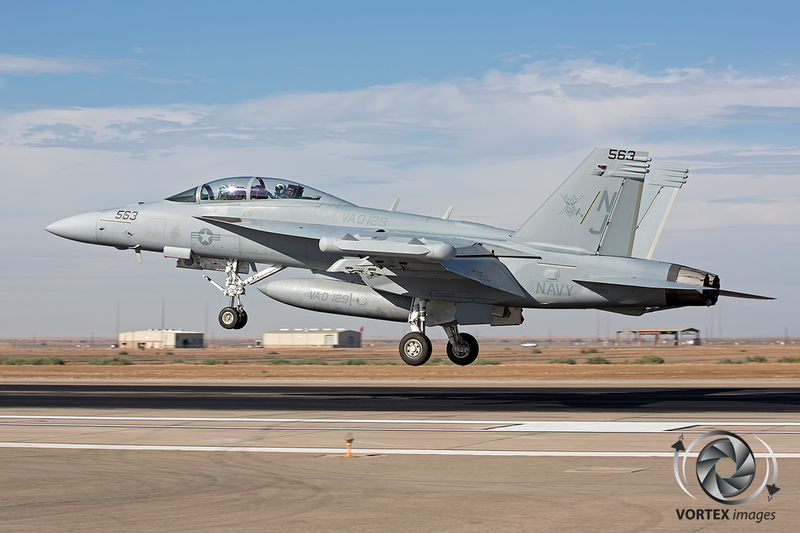 During this year’s Fall Edition of the Photocall this was no exception as both Electronic Attack Squadron 129 (VAQ-129), the US Navy’s only EA-18G Growler training and fleet replacement squadron and better known as the Vikings, and Training Squadron Seven (VT-7) had a deployment at NAF El Centro. 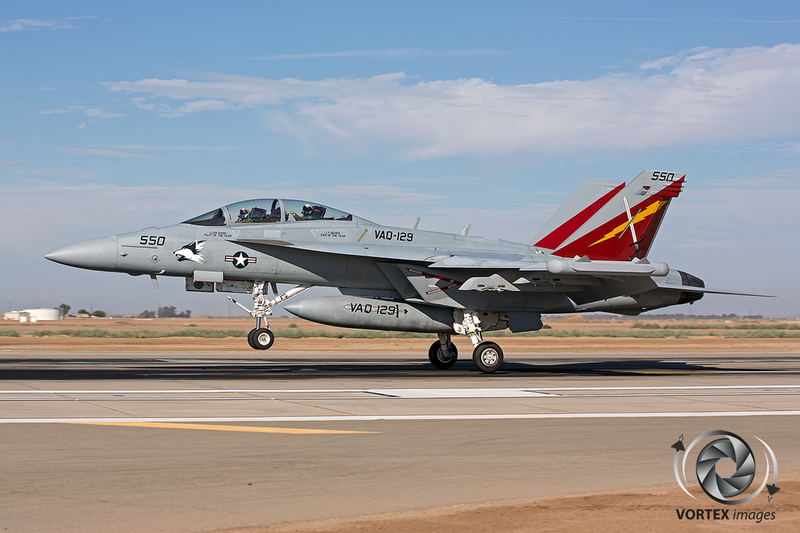 VAQ-129 is in charge of all training of the EA-18G Pilots and WSO’s and are normally based at Naval Air Station Whidbey Island, Washington. 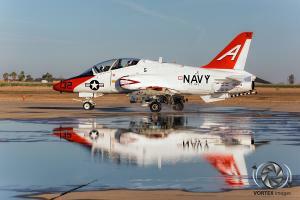 The unit was created in May 1961 as Heavy Attack Squadron 10 (VAH-10) operating the Douglas A-3 Skywarrior. In 1970 VAH-10 became VAQ-129 when the Skywarrior was replaced by the Grumman EA-6B Prowler which it operated until 2014. 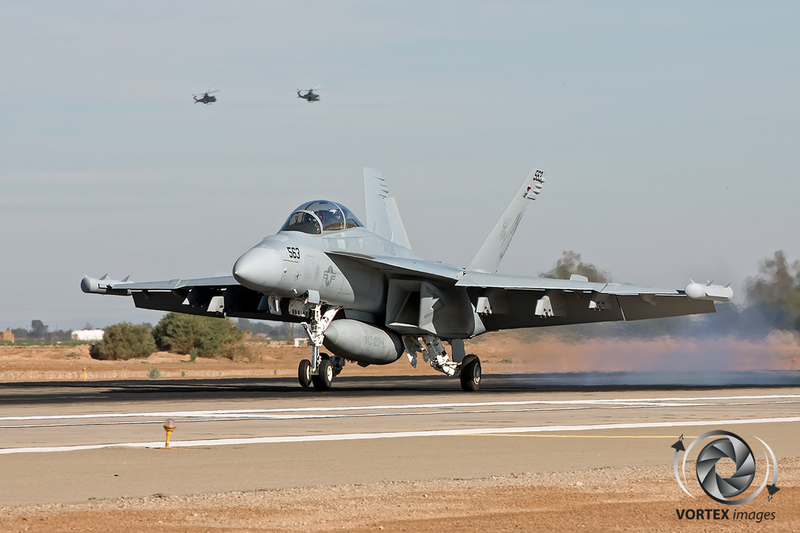 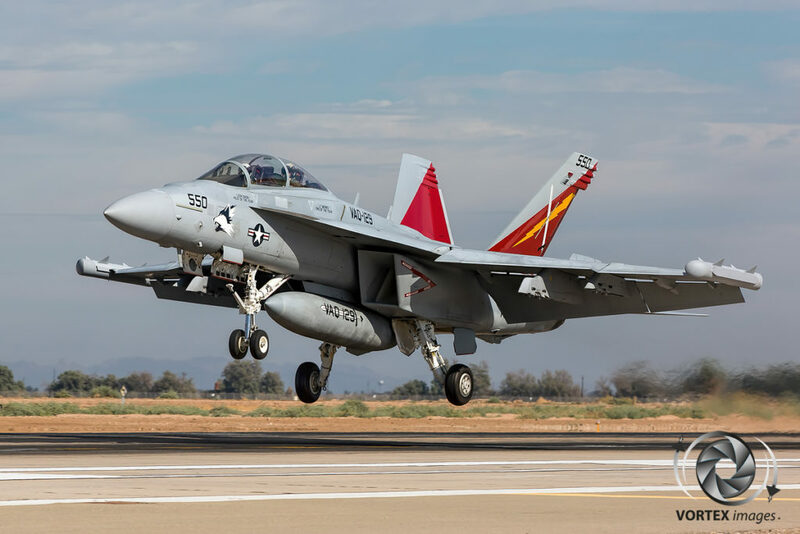 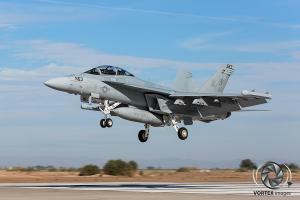 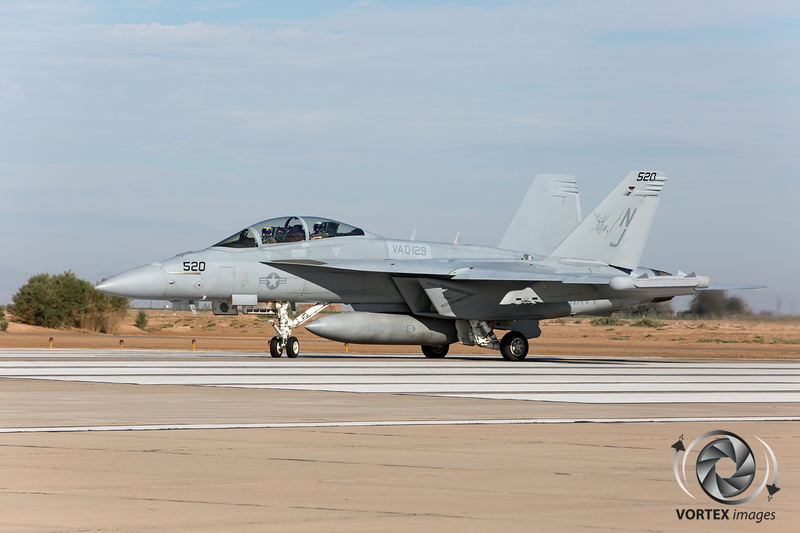 The current EA-18G Growlers of VAQ-129 are state of the art specialized versions of the Boeing F/A-18F Super Hornet which are optimized for its role as Electronic Warfare aircraft. VT-7 is one of the training units of the US Navy and USMC. 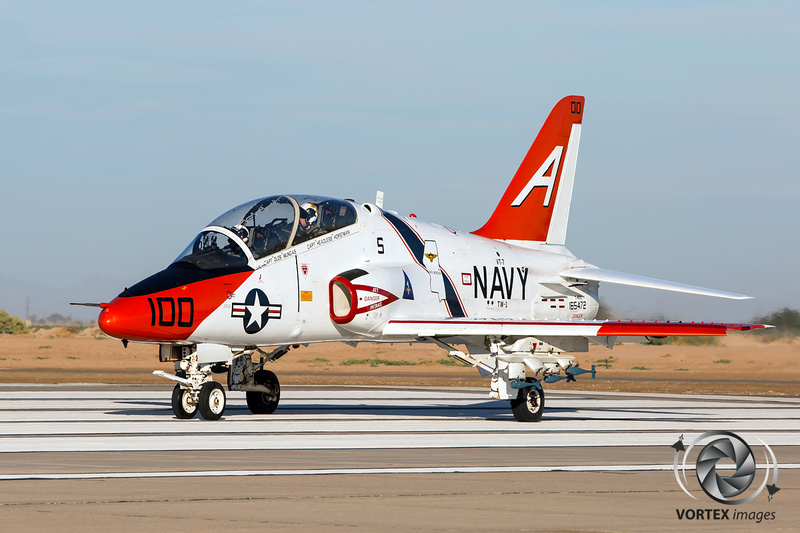 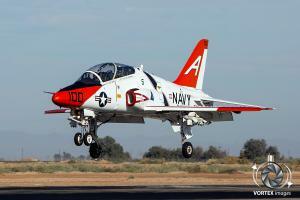 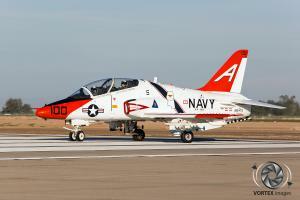 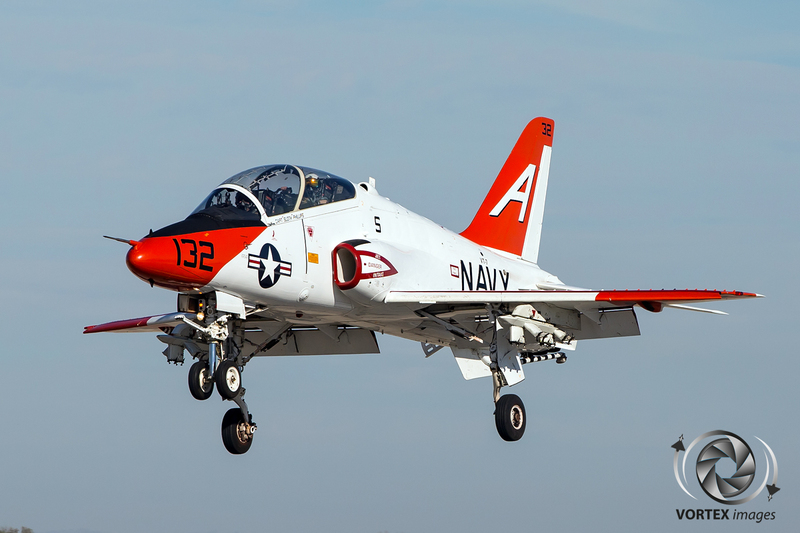 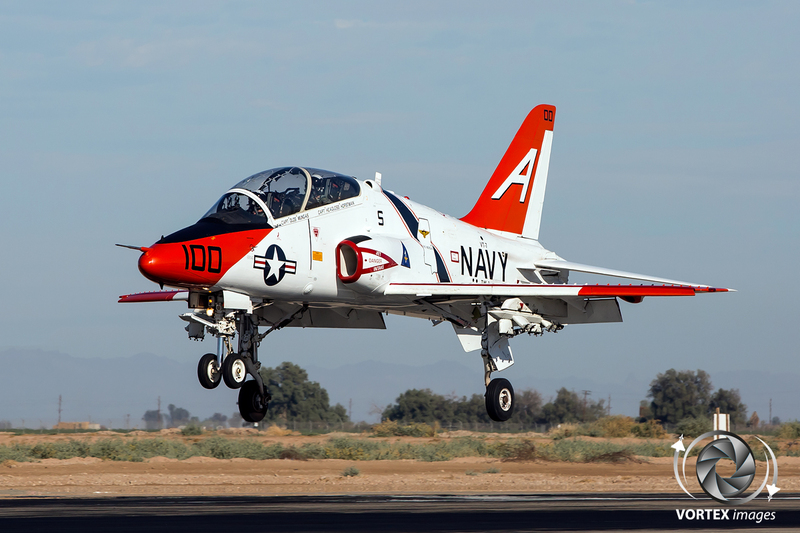 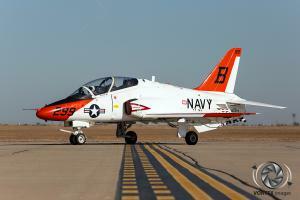 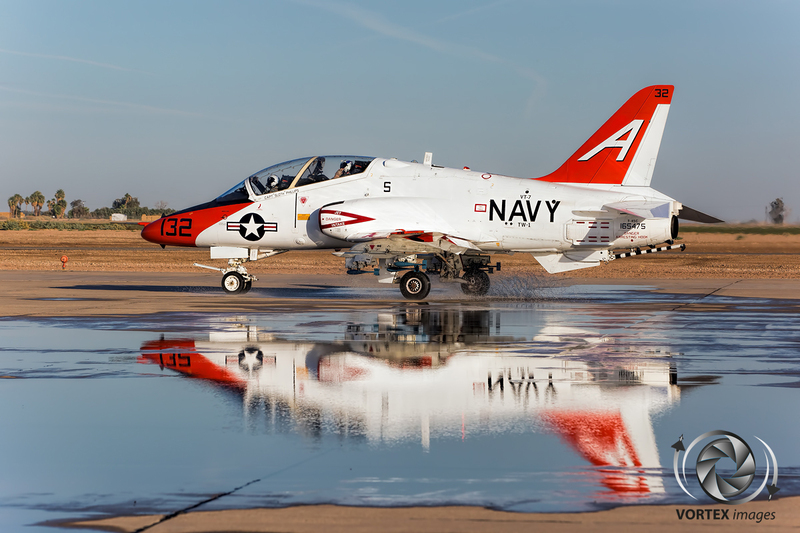 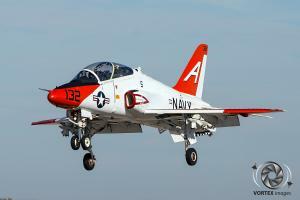 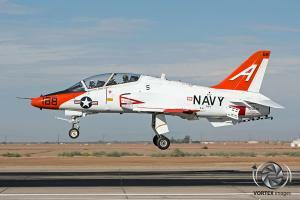 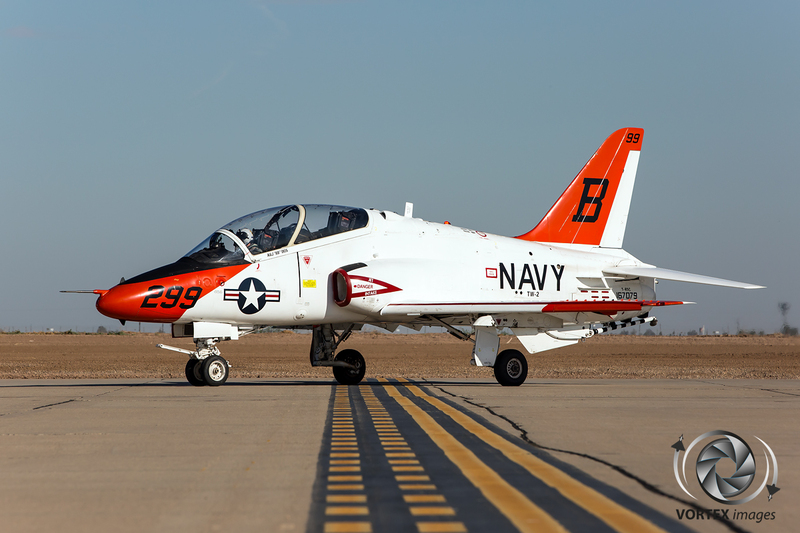 VT-7 normally operates their McDonnell Douglas T-45 Goshawks from NAS Meridian in the state of Mississippi. 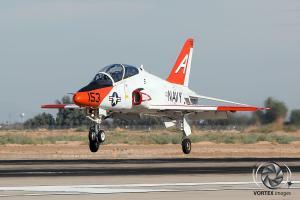 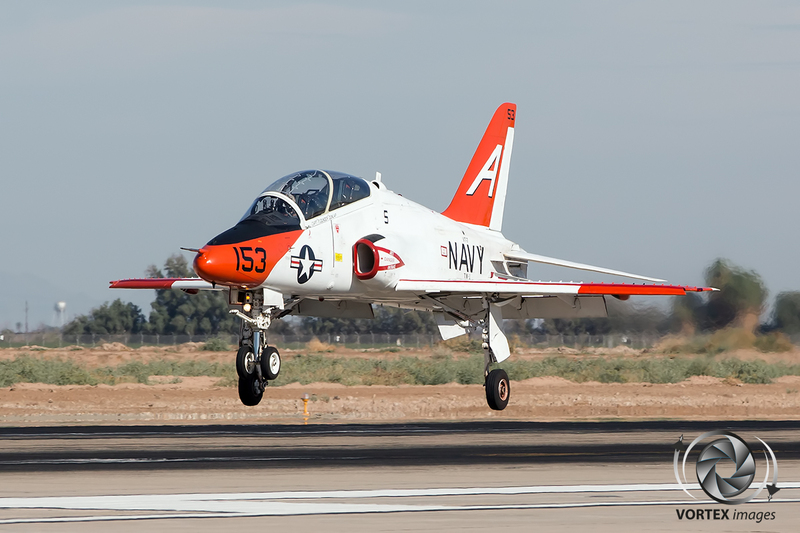 The T-45 is a navalised version of the British Aerospace Hawk. 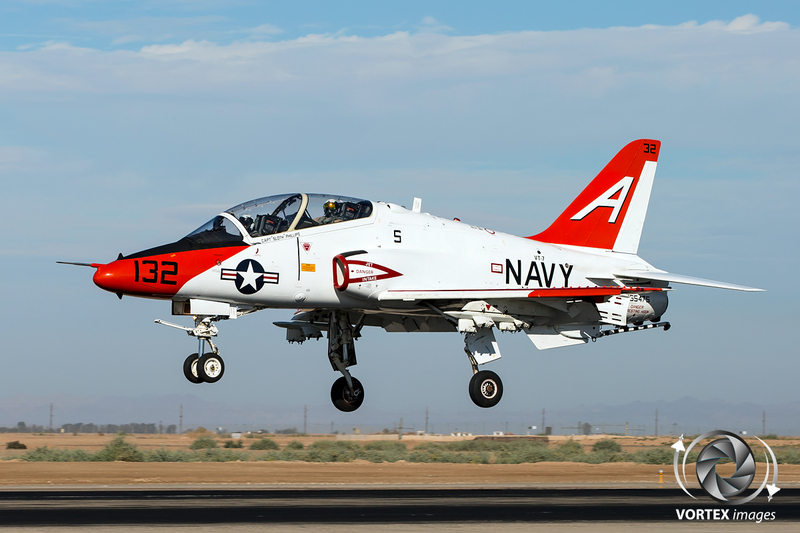 First flown in 1988, the Goshawk, compared the Hawk, has a different engine, strengthened airframe and landing gear to withstand carrier landings and launches , a tailhook and other various differences. 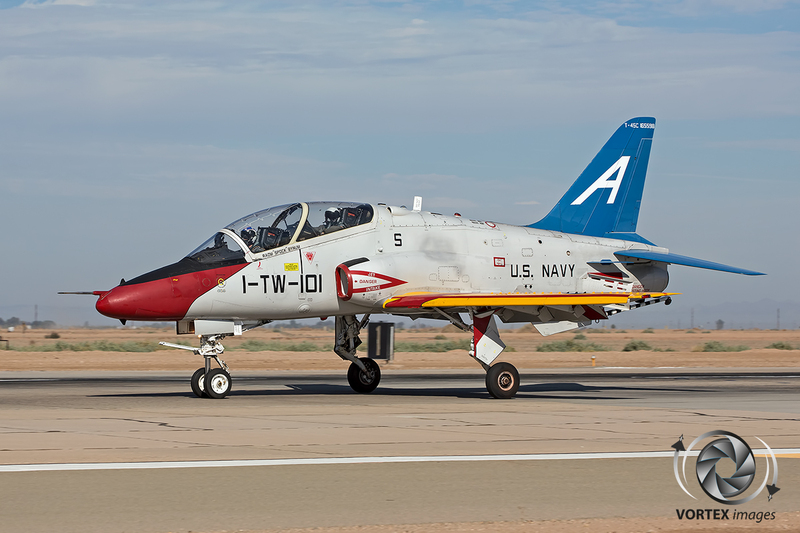 The most notable difference though is the adoption of a leading-edge slat system which results in a lower landing speed then the normal British Aerospace Hawk. 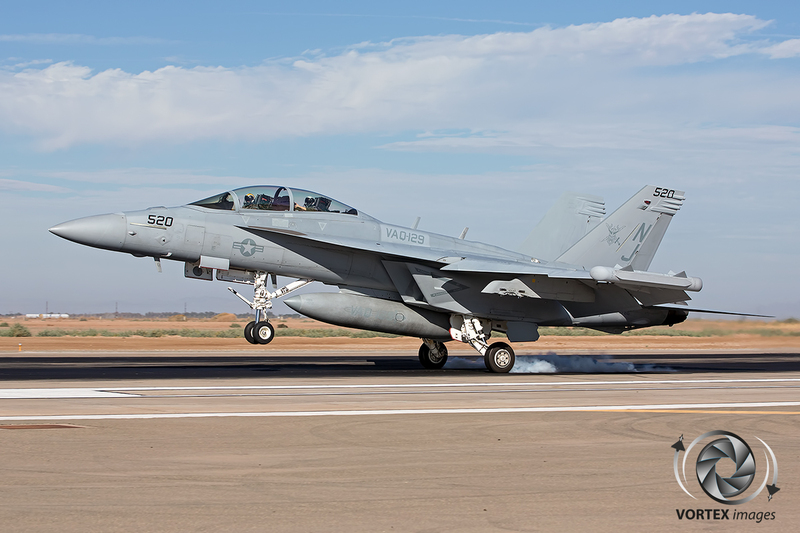 During the Photocall NAF El Centro was operational as always, due to this the Public Affairs team started the day with a thorough safety briefing to make everybody aware that they are on an operational airfield. 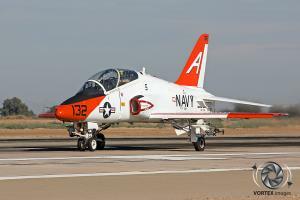 The participants were placed very close to the runway which results in some great possibilities. 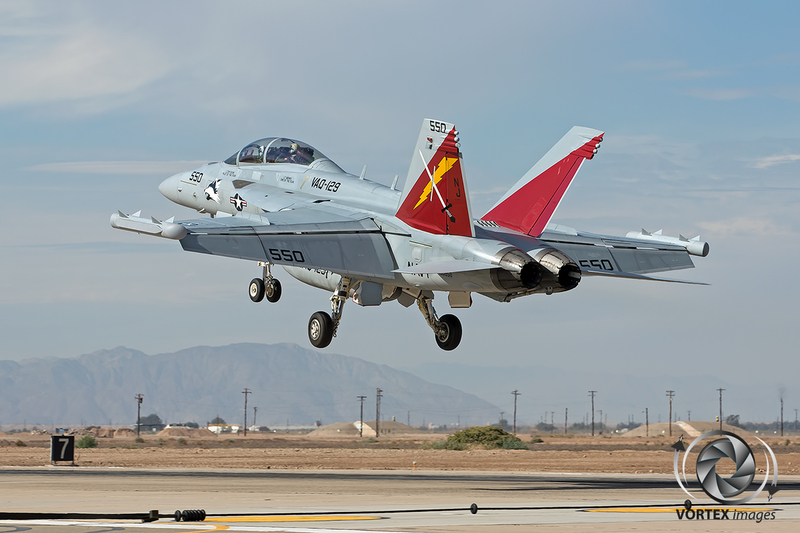 During the day the Growlers of VAQ-129 and the Goshawks of VT-7 flew almost constantly in stunning light. 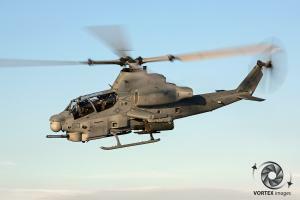 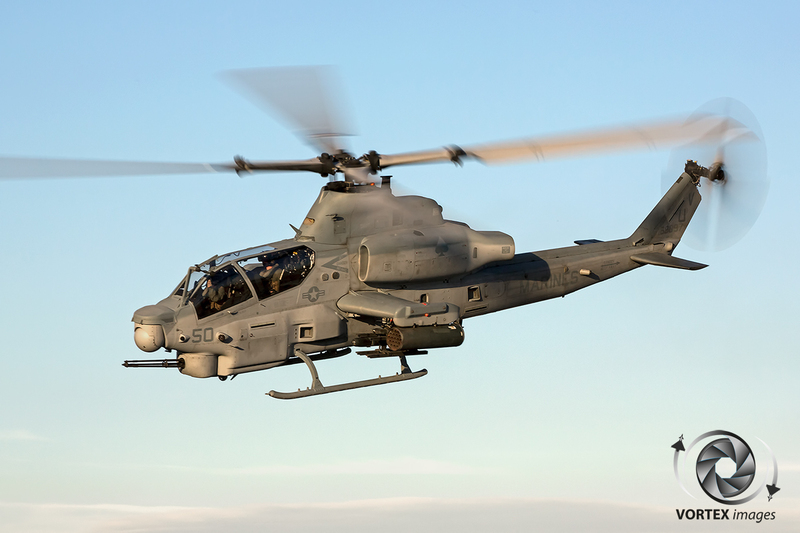 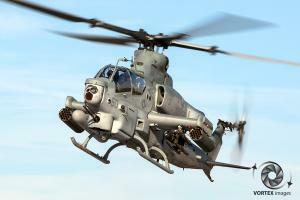 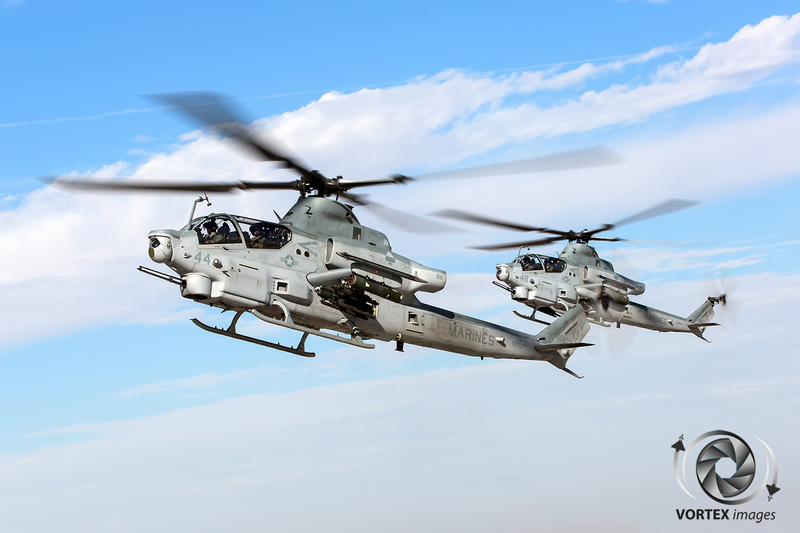 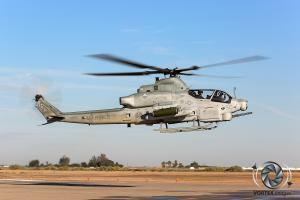 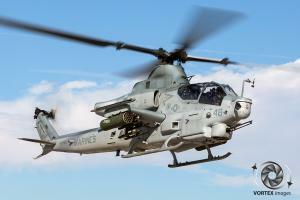 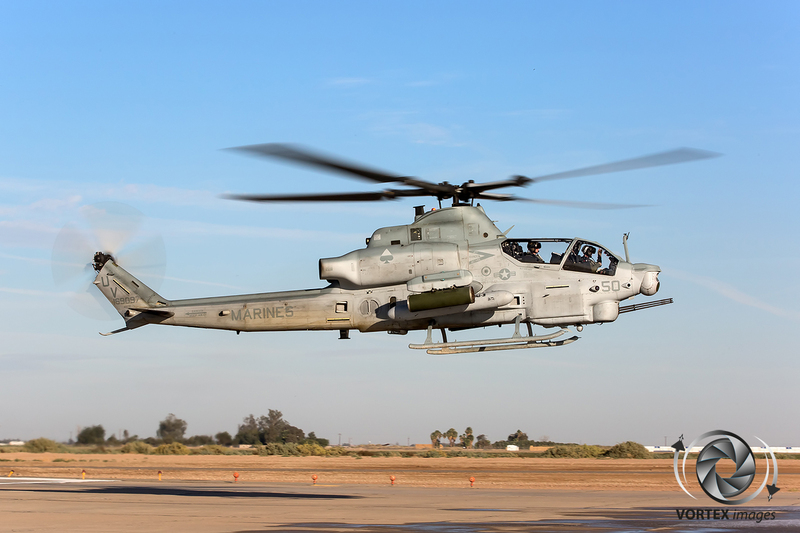 Besides this also some AH-1Z Vipers and UH-1Y Venoms visited El Centro to refuel and rearm before flying another mission to the nearby ranges. 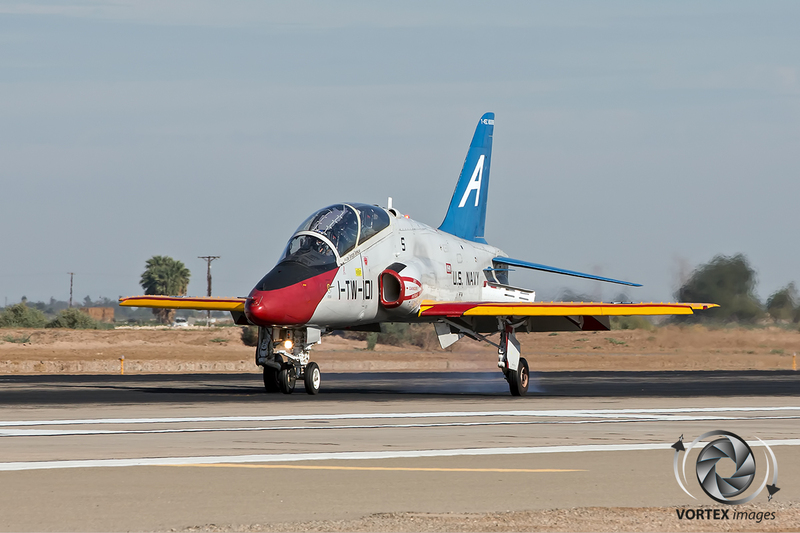 NAF El Centro is also often used by rotary units to shorten the flying time to the ranges. 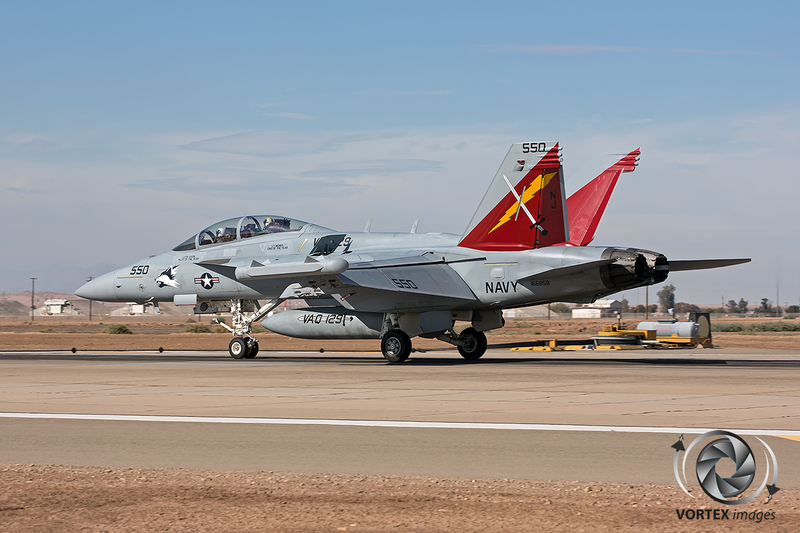 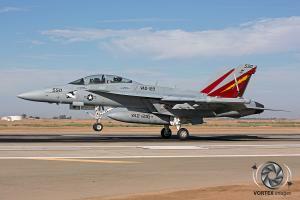 All of this makes the El Centro Photocall a real must for the Aviation Photographers who are US Navy and USMC minded. 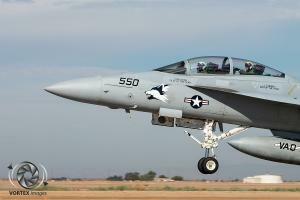 It’s one of the best events around. 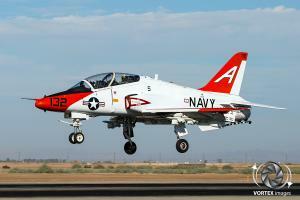 We would like to thank Kristopher Haugh and his entire Public Affairs team for the possibilities given.